HardAssetsInvestor: What's your view on the stock market? Is the recent volatility a sign of a top or will stocks hit new records by the end of the year? 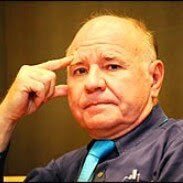 Marc Faber: The likelihood that we have something more serious now is quite high. There has been considerable technical damage in the market, with approximately half of Nasdaq and Russell 2000 shares already down 20 percent or more from their highs. Combine that with the fact that Treasury bond yields have again declined meaningfully, and it suggests the economy is not on a very sound footing.